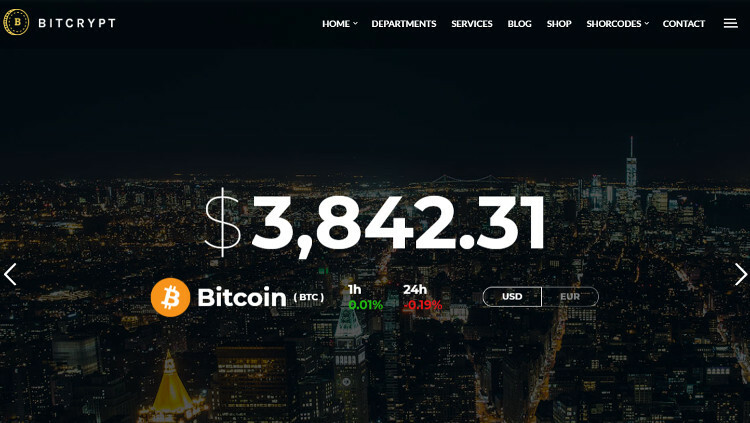 In this post, I will discuss about the best 5 Bitcoin, Crypto currency, Blockchain and digital currency WordPress Themes. 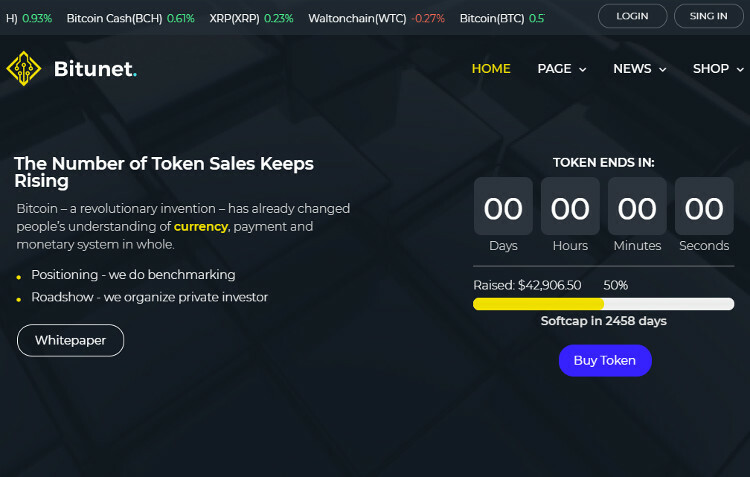 By using these themes you can easily create a responsive cryptocurrency landing page website, bitcoin advisor website with countdown timers, mobile first blockchain blog with review and rating systems, retina ready cryptocurrency trading website with advanced elements like price trackers, charts, graphs and tables. 1) Bitunet WordPress Theme: Bitunet is a cryptocurrency WordPress theme which comes with 5 types of website layouts. Comes with 5 types of pre designed skins to create a crypto currency website, blockchain website, Bitcoin advisor website, crypto blog and Bitcoin landing page website. 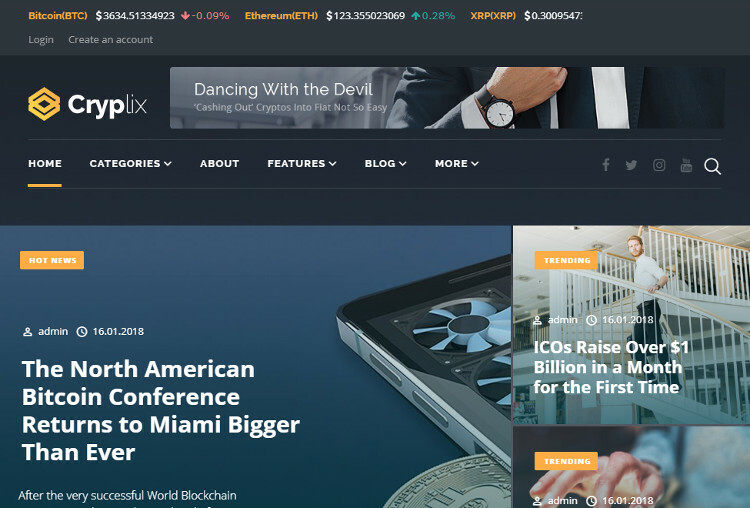 SEO optimized cryptocurrency WordPress theme. Create custom pages like 3 types of about page layouts, 3 types of services page layouts including single services page layout, 3 types of cases page layouts and 2 types of contact page layouts. Create custom pages like team page, careers page, crowd sale page, single ICO page, pre sales page, pre launch page, pre ICO page, news page and shop page. Option to add custom graphical advanced countdown timers. Option to add any number of cryptocurrencies with changing rates. Option to add a fully functional review system. Add advanced elements like rating systems, price trackers, graphs, tables, tabs, visual effects, blocks, pop ups and charts. Compatible with WooCommerce and WPML WordPress plugins. Supports Elementor front page drag and drop builder. Option to easily customize the theme as per your requirements. 2) Monstroid Cryptocurrency WordPress Theme: Monstroid theme comes with 3 types of pre designed layouts including crypto landing page template, cryptocurrency website theme and bitcoin blog template. Responsive cryptocurency trading WordPress theme. Supports Elementor drag and drop front page builder. 6 types of blog page layouts including classic blog page layout, grid 2 columns blog page layout, grid 3 columns blog page layout, justify blog page layout, masonry 2 columns blog page layout and masonry 3 columns blog page layout. 3 types of website layouts including website layout with left sidebar, website layout with with right sidebar and website layout with no sidebar. 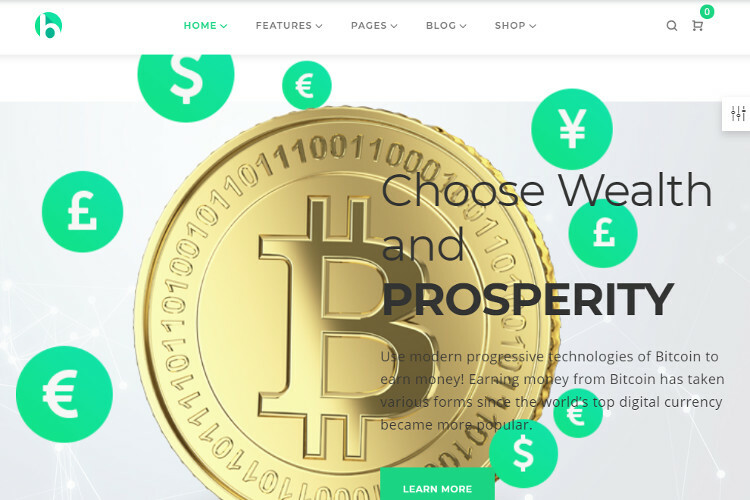 3) Bryte Bitcoin WordPress Theme: Bryte is a retina ready Bitcoin WordPress theme which comes with 8 types of homepage layouts. 8 types of homepage layouts including bitcoin homepage layout, gallery homepage layout, blog homepage layout, app homepage layout, personal homepage layout, creative homepage layout and business homepage layout. 7 types of custom header styles and 3 types of footer styles. 3 types of about us pages, 3 types of contact us pages, 2 types of our team pages, 2 types of project pages and 3 types of services pages. Create custom pages like FAQ page, pricing page, career page, clients page, shop page and blog page. 4 types of blog page layouts including masonry blog page layout, grid blog page layout, classic blog page layout and justify blog page layout. 3 types of website layouts including website layout with right sidebar, website layout with left sidebar and full width website layout. Supports Elementor and WPML WordPress plugins. Supports social logins and Google fonts. 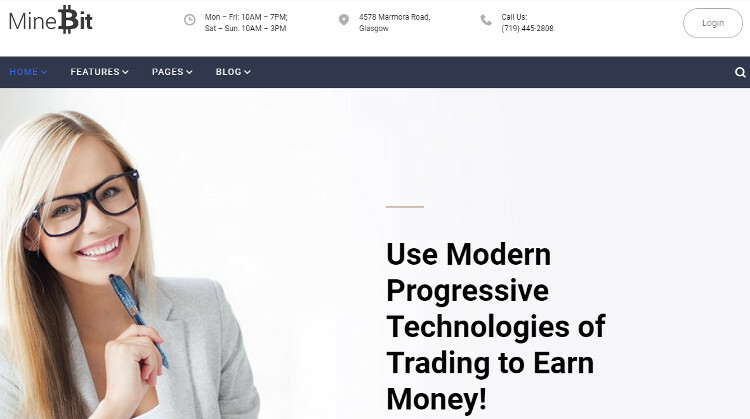 4) MineBit WordPress Theme: MineBit is a retina ready crypto trading WordPress theme which comes with 7 types of homepage layouts. 7 types of homepage layouts including gallery homepage layout, business homepage layout, blog homepage layout, trading homepage layout, crypto homepage layout, finance homepage layout and default homepage layout. 7 types of headers and 3 types of footers. 5) Bitcrypt WordPress Theme: Bitcrypt is a responsive Bitcoin WordPress theme which comes with 2 types of homepage layouts. Supports many shortcodes like testimonials, image banners, progress bars, pricing plans, modal boxes, Google maps, counters, carousels, sliders, alert boxes, animations, etc.